PlantForm, a Canadian private corporation founded in 2008, is a biopharmaceutical company that is commercializing a low-cost, plantbased manufacturing platform for life-saving drugs, vaccines, and antibodies. Having already secured $5.5 million in funding from founders and angel investors, $2.0 million from government contracts, and another $2.1 million in contract revenue, PlantForm’s founders are focused on raising additional capital and establishing partnerships to enter the marketplace. 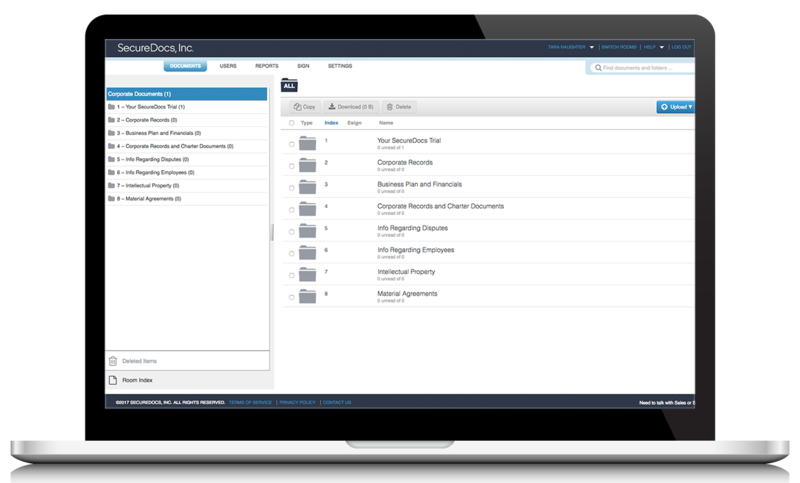 "SecureDocs is an efficient, straightforward, secure system that has become a valuable tool for our company as we grow." PlantForm needed a way to securely share intellectual property and proprietary data with outside partners and investors. They needed a way protect critical information with non-disclosure agreements. They needed a system that would provide them with tools to control document access, audit what actions had been taken with each document, and professionally present all of the information to potential investors, all form one secure location.